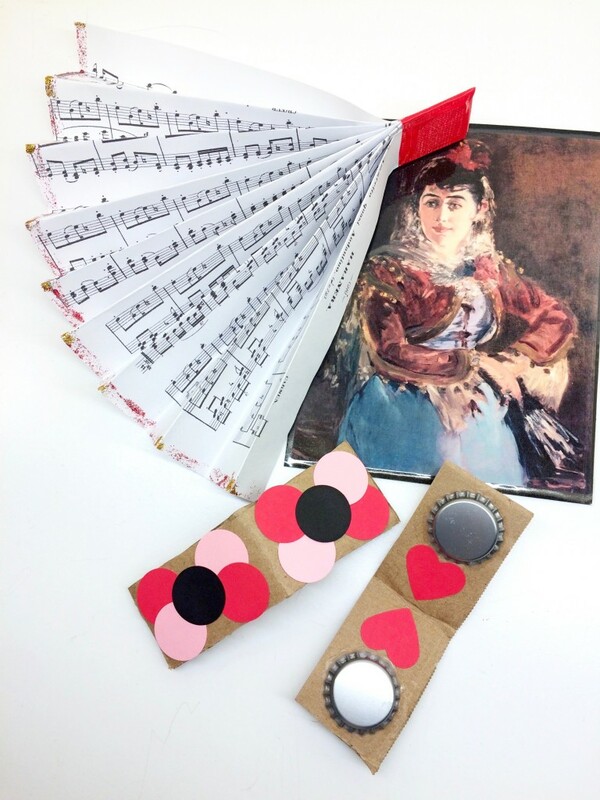 This week, our Smock Rock students at TLB Music are creating Carmen-inspired paper fans and handmade castanets while listening to music from Bizet’s opera Carmen (The Habanera) and Flamenco music! 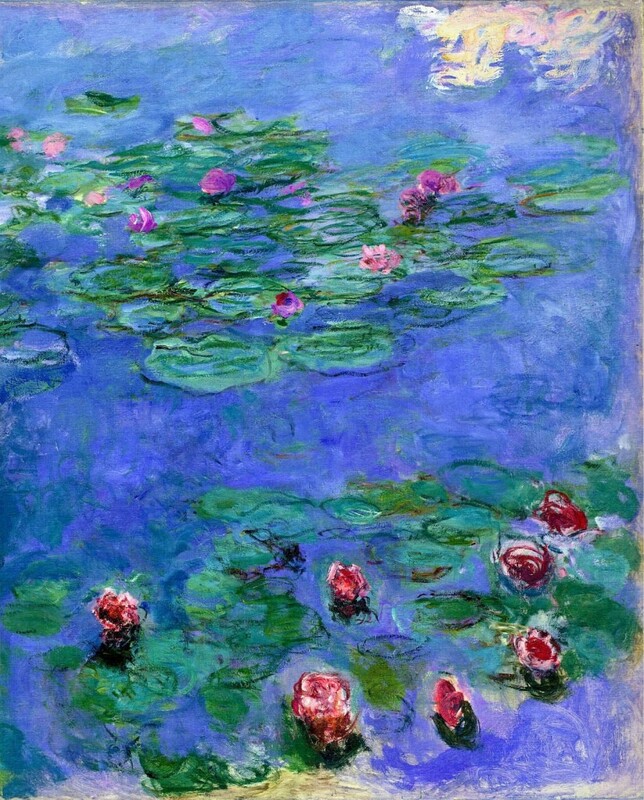 Today, our art project is inspired by Carmen! What is Carmen? Carmen is an opera by French composer Bizet and Carmen is also the name of the lead character in the opera. Opera is a kind of theatre where the story is told through music and song. 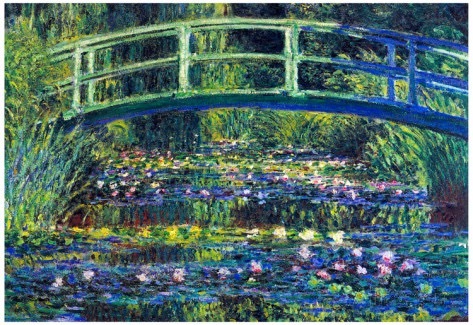 Elements of opera that help tell the story: stage and scenery, costumes, opera singers and a musical ensemble. Today, we’re going to create Carmen-inspired costume accessories: a paper fan and castanets! The story of Carmen takes place in Spain so, while we craft, we’ll listen to beautiful Spanish Flamenco music in addition to our music from Carmen. Ask students: what do we do with a fan? How do we use? What are castanets? 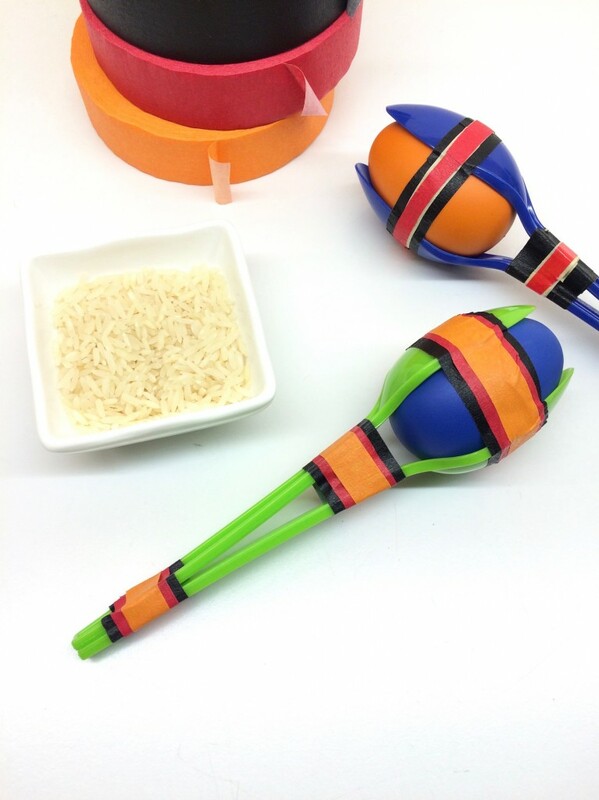 Show classroom pair of castanets and demonstrate how to use. Show craft sample and discuss how we can create castanets out of cardboard, bottle caps and glue! 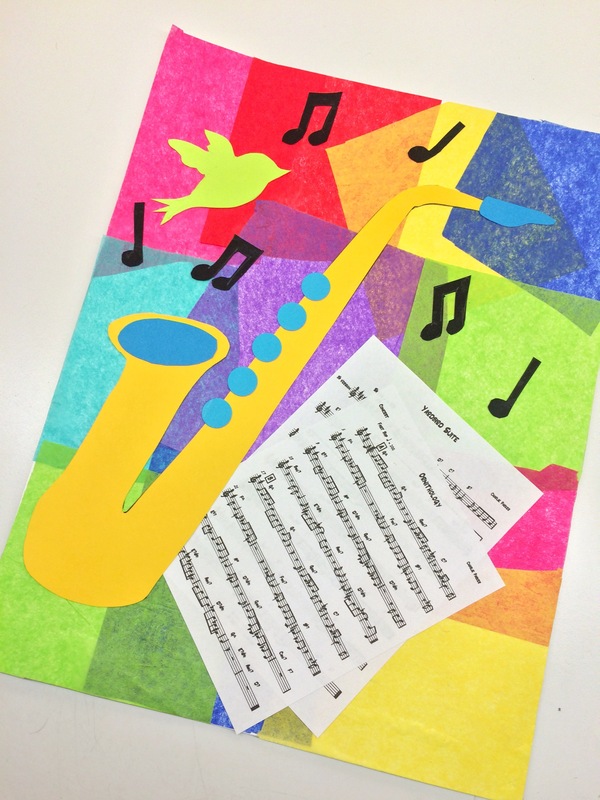 This week’s TLB Music Smock Rock project theme is Jazz music! We’re creating a Charlie “Bird” Parker-inspired saxophone collage! While they craft, our students are listening to Benny Goodman’s “Sing, Sing, Sing”, Duke Ellington’s “It Don’t Mean a Thing”, Louis Armstrong’s “Basin Street Blues” and Charlie Parker’s “Ornithology”! 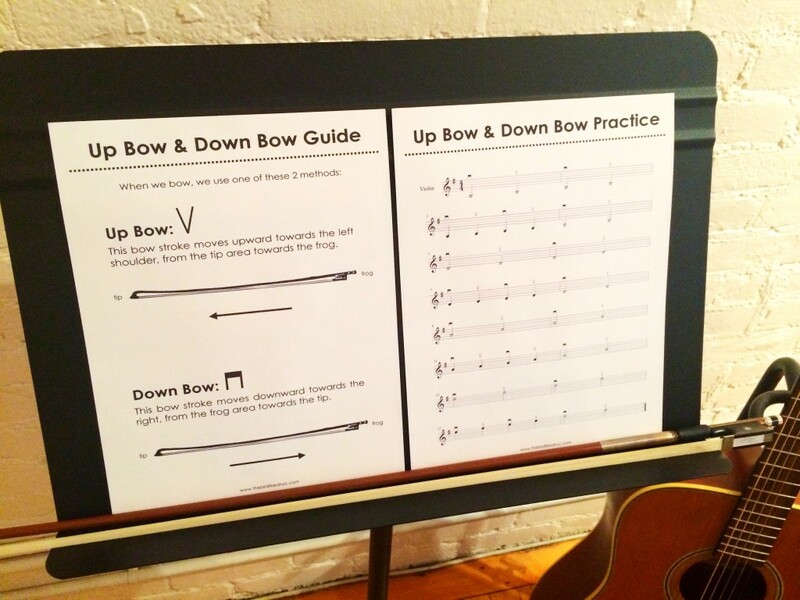 *view hole punchers, music notes and tissue paper used at the bottom of post! Today, we’re going to listen to Jazz music while we make a collage inspired by a very famous Jazz musician, Charlie “Bird” Parker. Show picture. What instrument did he play? Does anyone know its name? 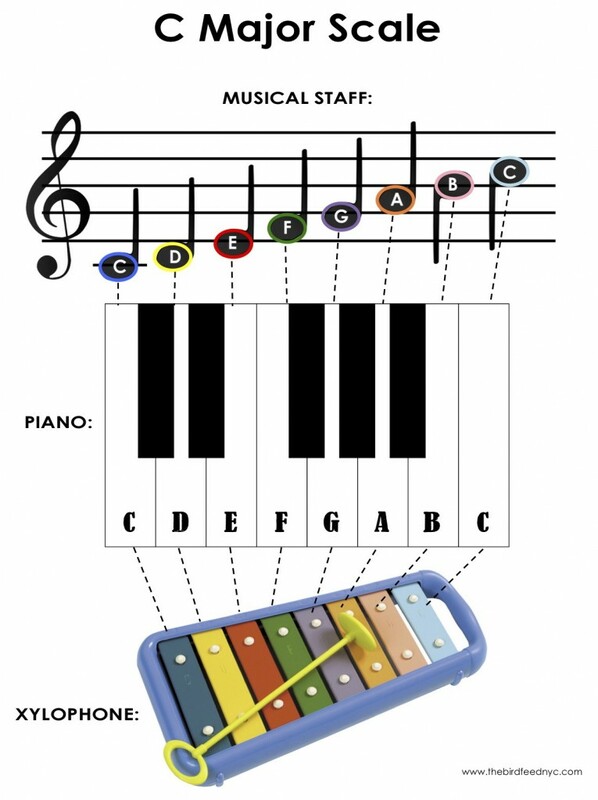 Now, can kids find the saxophone in the classroom? We’ll include a bird in our collage because Charlie’s nickname was “bird”- isn’t that funny? 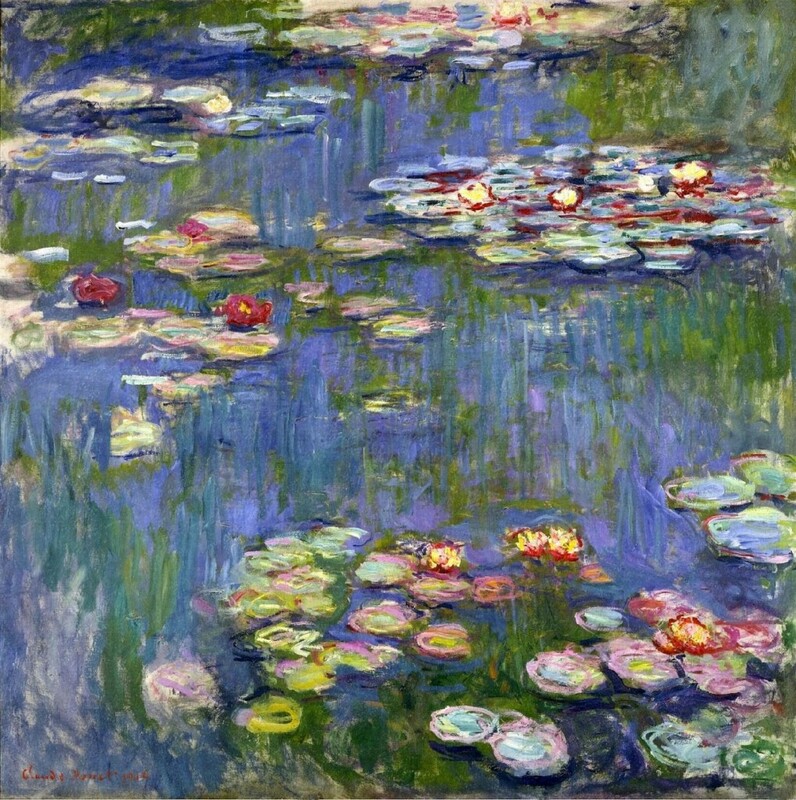 Several of his compositions reference birds: “Yardbird”, “Ornithology”, “Bird Gets the Worm”, and “Bird of Paradise”. 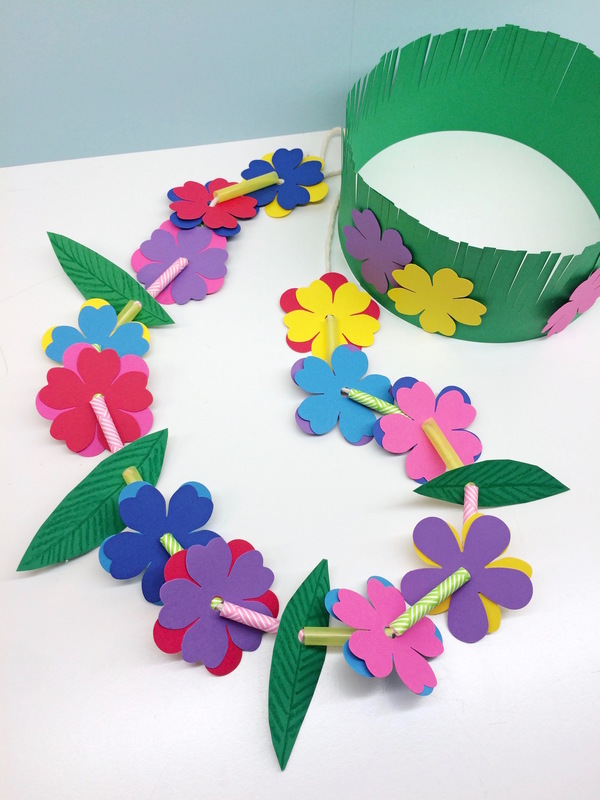 This week, our Smock Rock at TLB Music students are creating Hawaiian leis and grass crowns while listening to some of our favorite Hawaiian songs like “Aloha ‘Oe”, “One Paddle, Two Paddle” & “Lovely Hula Hands”. 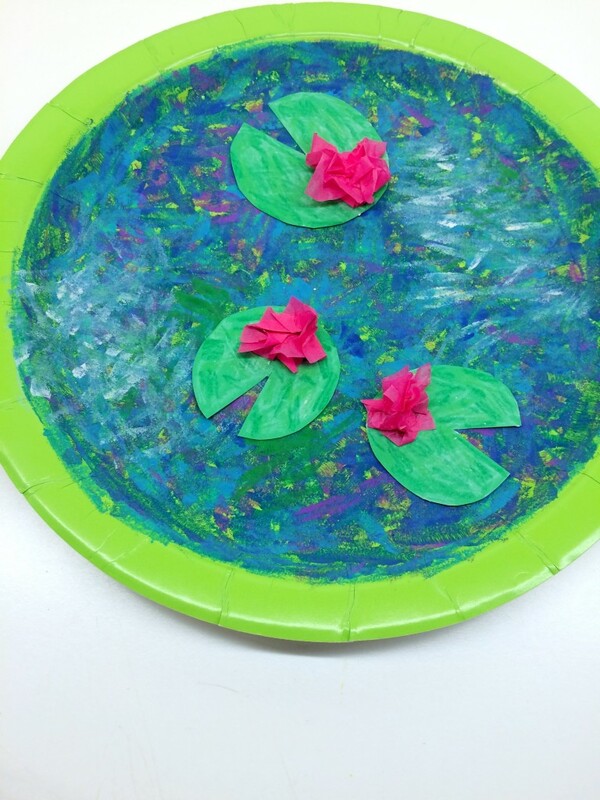 Project Intro: Today our art project is inspired by hula dance and music! Hula dance comes from the Hawaiian Islands. Show pictures. What do kids see? Beach, ocean, palm trees, dancers, etc. The dancers wear grass skirts, flower headbands and leis and dance using graceful arm movements and swaying their hips. Demonstrate briefly. Hula dance is most often accompanied by accompanied by chanting, ukuleles, guitars, drums, puili sticks and other rattles. Today, we’ll make our own flower leis (a necklace of flowers!) and grass crowns while listening to beautiful traditional Hawaiian music! This week’s Smock Rock students at TLB Music are creating Beatles-inspired “Octopus’s Garden” collages complete with yellow submarines! 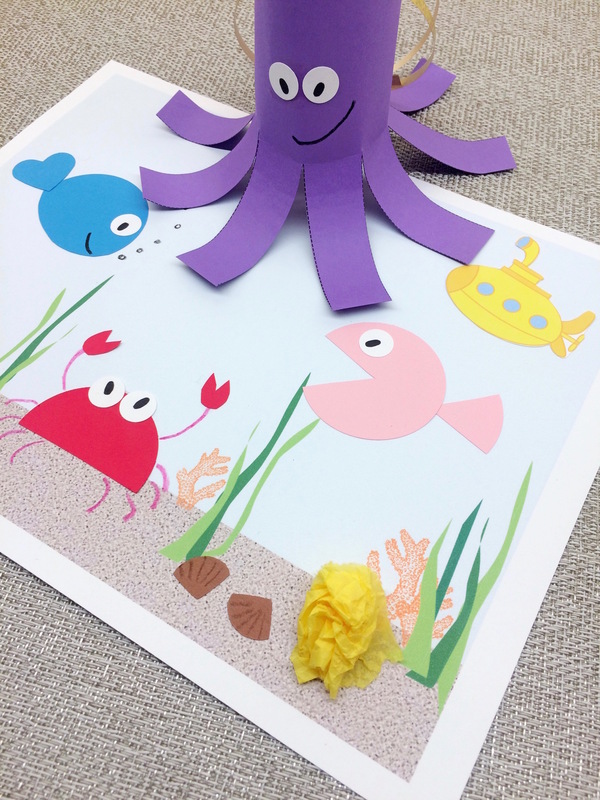 This project is amazing for practicing fine motor skills: it includes cutting, pasting, pressing, drawing, bending, threading and manipulating small pieces. As children craft, they’re listening to some of our favorite Beatles’ songs like “Octoptus’s Garden”, “Yellow Submarine”, “Here Comes the Sun”, “Good Day Sunshine”, and “Hello, Goodbye”! 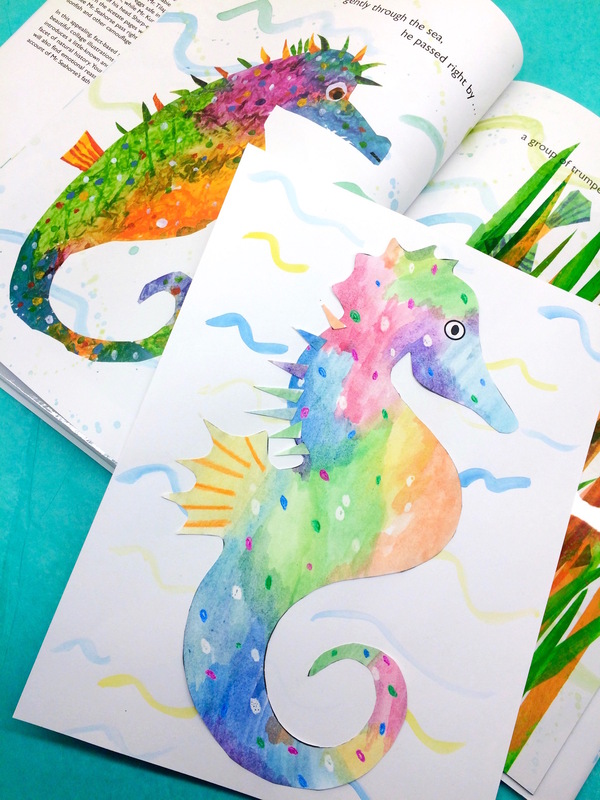 This week, our Smock Rock students at TLB Music are creating watercolor seahorse collages inspired by the art of Eric Carle! 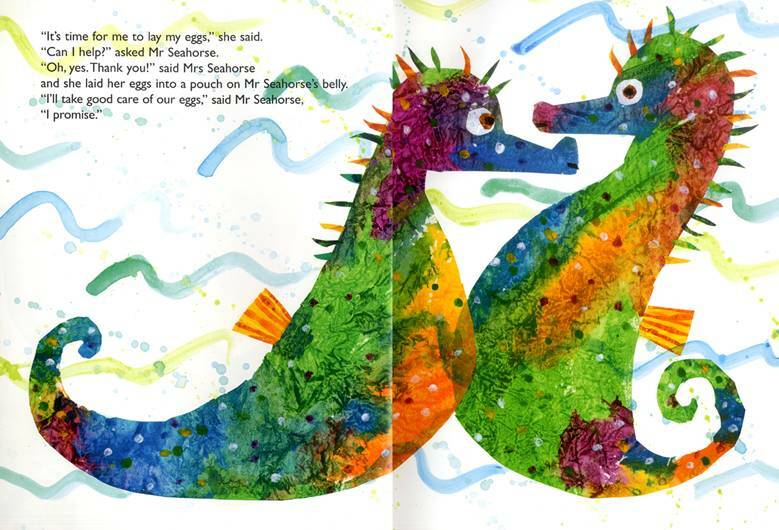 In particular, the beautiful artwork from his book, Mister Seahorse. While we craft, we’re listening to ocean-themed music including “Under the Sea” from The Little Mermaid, Bobby Darin’s “Beyond the Sea”, Aquarium from Saint-Saëns’ Carnival of the Animals and The Beatles’ “Octopus’s Garden”! *all supplies used are listed at bottom of post! Before starting the craft, flip through the book. Has anyone read this book? How do you you think Eric Carle created his art? 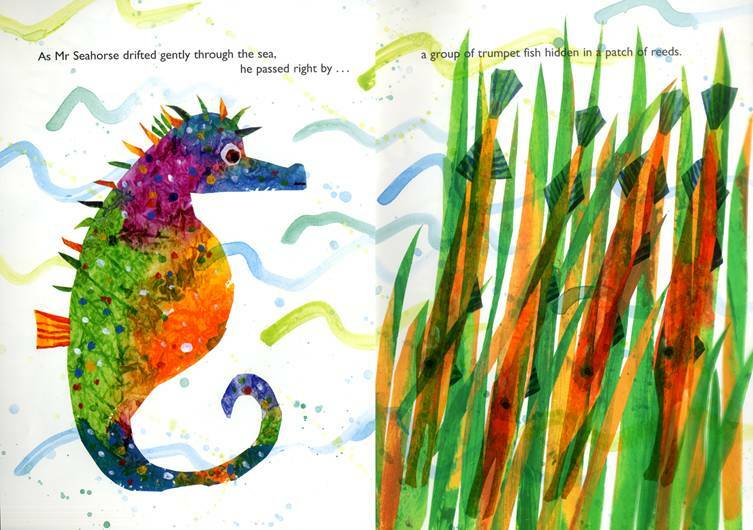 Eric Carle uses watercolor and painted paper collages to create his distinctive style! 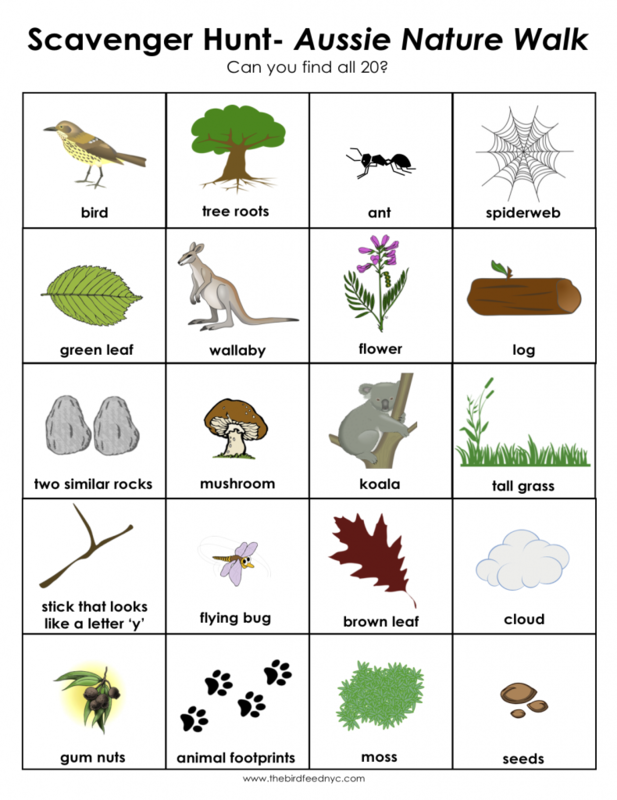 Ask children to help you identify colors, shapes, animals and anything else that interests them. Shapes & Colors Craft Activity: Build a Spaceship! This week, TLB Music‘s mini camp theme is outer space! 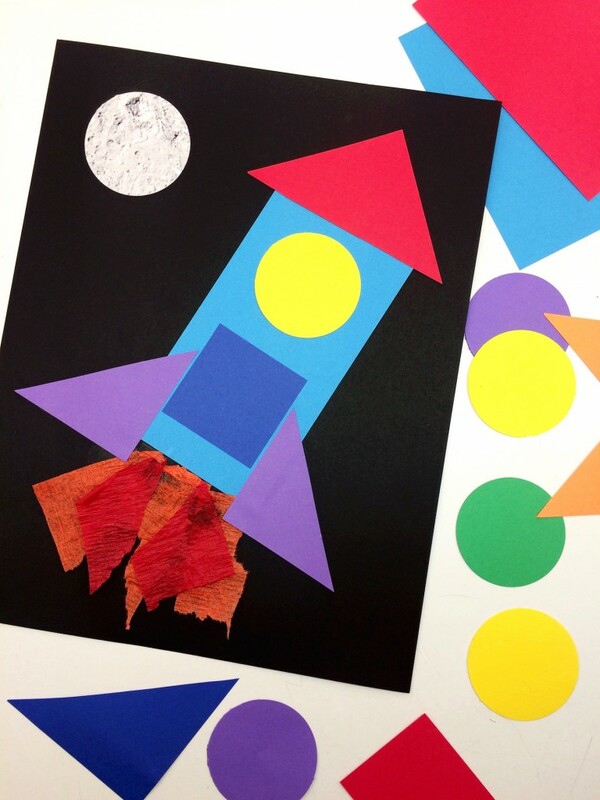 One of our campers craft activities is creating a spaceship collage using colorful shapes. This is a great activity for young kids to work on concepts like shapes, colors, counting and how to draw objects using shapes as your guide. a black piece of paper, a glue stick, a circle moon, and orange & red crepe paper streamer pieces. All craft supplies used are at bottom of post. 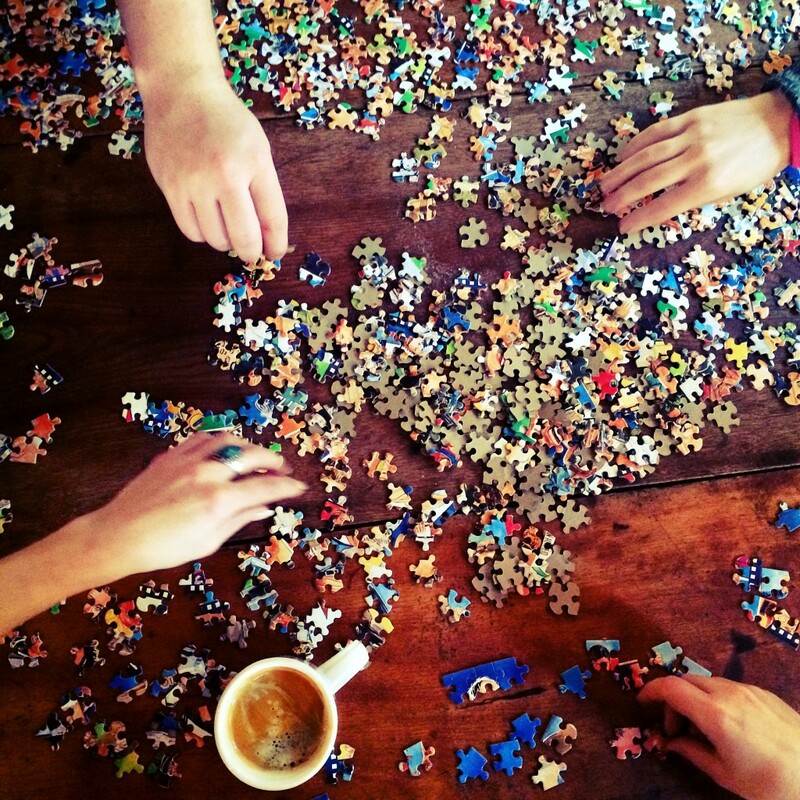 *If students are older, they can help with the “teacher prep” section! 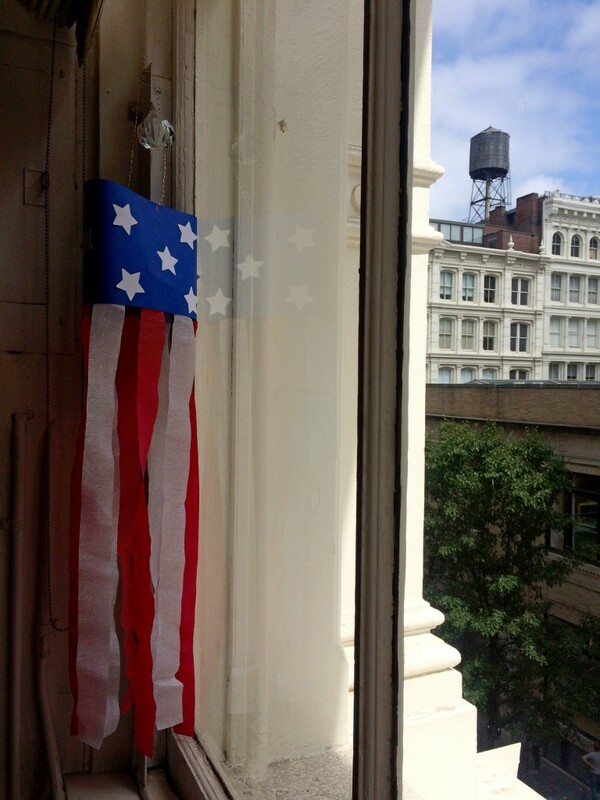 My business, TLB Music, is hosting a mini-camp summer series for NYC kids 18 months – 5 years and this patriotic windsock project is one of our campers’ activities of the week! This craft is perfect for young children and the end result looks great as a decoration for the Fourth of July. Follow these easy instructions to create your own and scroll to the bottom of this post to see the craft supplies I used! 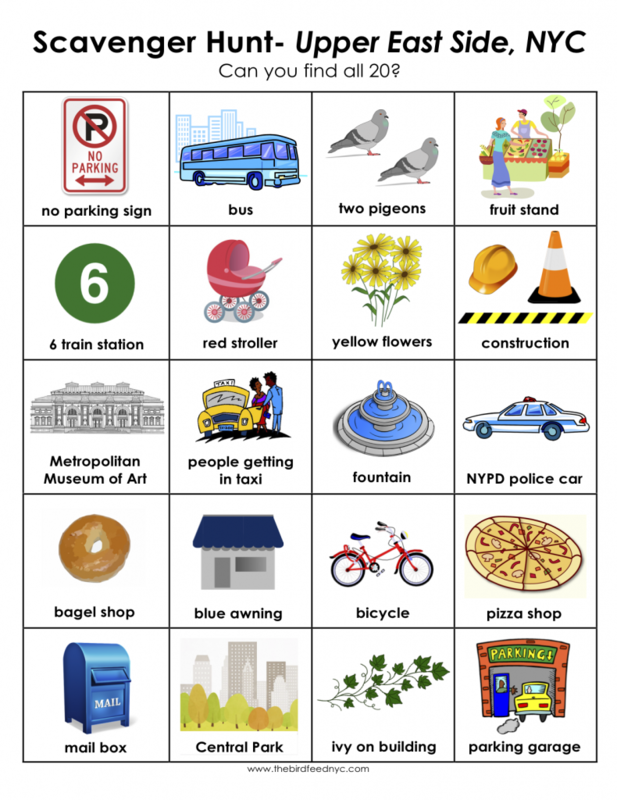 I created this Upper East Side, NYC scavenger hunt for all the wonderful UES kids I know! Print a copy and explore the neighborhood! Can you find all 20? Click the link below to download and print the free PDF. 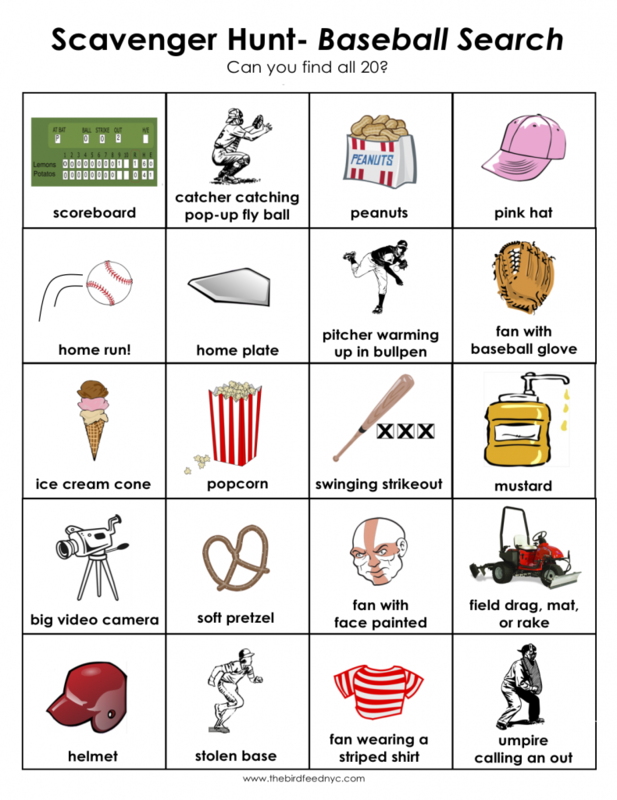 Next time you go to a baseball game with your kids, print a copy of this scavenger hunt to bring along! Can you find all 20? A reader from Australia asked me to give my “Nature Walk” scavenger hunt an Aussie update for her daughter’s 5th birthday party. Here it is! Download the free printable below!